Once upon a time, the 311 Cruise was a unique experience for a band in the reggae genre, but fans have increased the demand for similar events from many other upper echelon bands. 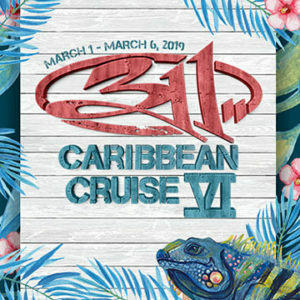 Since 2010, when 311 announced their first cruise through the Caribbean and hosting their subsequent Pow Wow Festival in 2011, other bands have followed suit and hosted their own tropical getaways with the spotlight on their music. 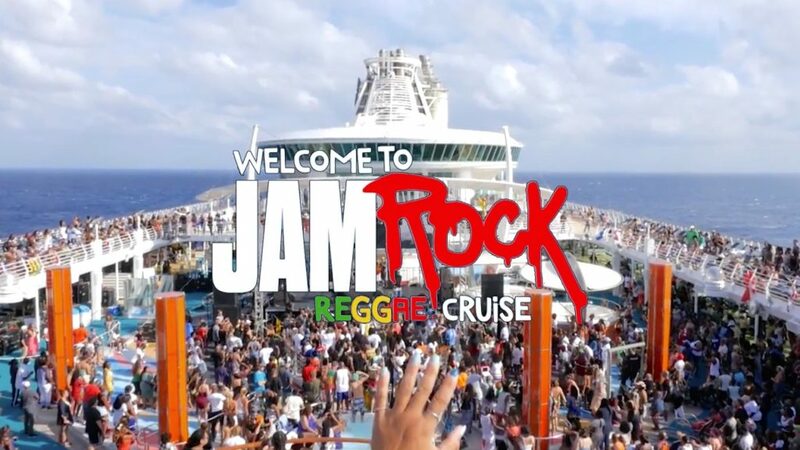 Damian Marley sold out his first Welcome to Jamrock Reggae Cruise in 2014, and “Jr. Gong” has continued the voyage every year since. Slightly Stoopid recently celebrated their 5th anniversary, going down to Mexico for their Closer to the Sun Festival. Rebelution hosted The Bright Side Festival in Jamaica. And, in the United States, Dirty Heads will be hosting their Orlando Vacation this spring. The festival circuit has also experienced tremendous growth alongside the reggae genre. What first sprouted as a single-day gathering headlined by Dirty Heads and Tribal Seeds ten years ago, California Roots Music and Arts Festival has blossomed into a 3-day convention for the entire genre. And, fans have turned that into a trek to see all their favorite performers in one place. The list of festivals that follow a similar storyline is extensive. Every location has written their own tale. From Reggae Rise Up in Florida, Levitate Music and Arts Festival in Massachusetts, One Love Cali Reggae Fest in Long Beach, Reggae on the Rocks in Colorado, The MayJah RayJah in Hawaii, Island Reggae Festival in San Jose and Arizona Roots, among others, the genre is all over the map with destination festivals. And, more and more bands are hosting their own single-day showcases in desirable cities and historic venues, celebrating holidays throughout the year. These bands have found a successful plan to continue satisfying the increased demand within the genre. In all honesty, what fan wouldn’t enjoy celebrating a holiday, taking a tropical vacation on a Caribbean cruise, standing on a beach at destination festival, while listening to their favorite music? After all, these destination festivals bring together some of the best collaborations while performing rarities that are typically reserved only for studio sessions. That in itself is a treat for diehard fans. Obviously, the demand is there, and will only continue to increase. These bands tour from city to city, country to country, and everywhere in between. They deserve a vacation, too, even if they do have the best job in the world. When that time comes, there will be smiles on faces from fans and bands, alike.